Bali flag with new, unique shape. Top tail creates attention getting movement in light winds. 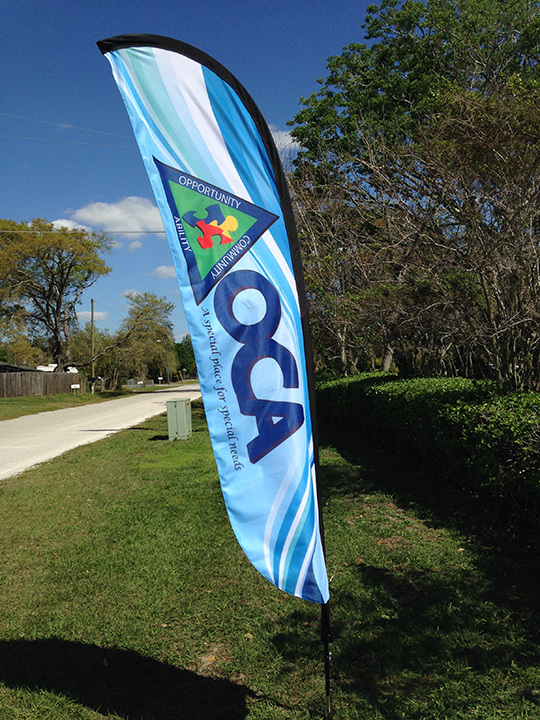 It’s economical, easily mounted & dismantled for short term or temporary use and the flag is always on display with or without wind. Kit comes complete with flag, pole, & ground spike. 6 assorted complete knits. 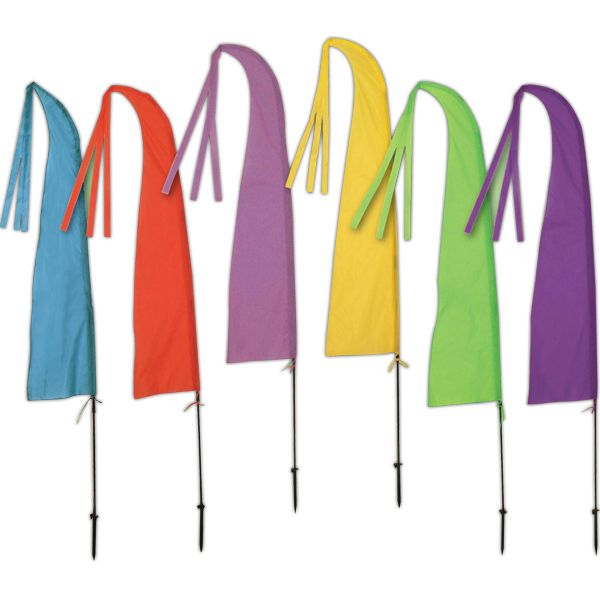 5′ flags, 8′ poles. Eye catching, swanky, distinctive. Available in May.